Medical professionals believe some specific cosmetic procedures can be safe to undergo during pregnancy. 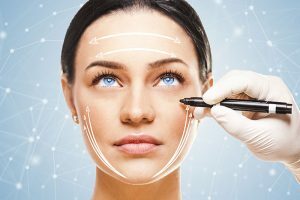 The safety of an expecting mother undergoing bodily enhancement surgeries such as botox, peels, lifts, wraps and skin needling has been debated amongst medical professionals for some time. The following is a brief article discussing what these procedures entail and if they are safe for soon-to-be moms and their unborn children. Botox is used as a method of eliminating skin flaws like skin wrinkles, crow’s feet (lines around the eyes) and frown lines in the forehead. Botox is made out of botulism toxin, which—if ingested in large doses—can cause permanent paralysis and, quite possibly, death in human beings. However, when taken in very small doses (like those used in Botox treatments), it is completely safe. 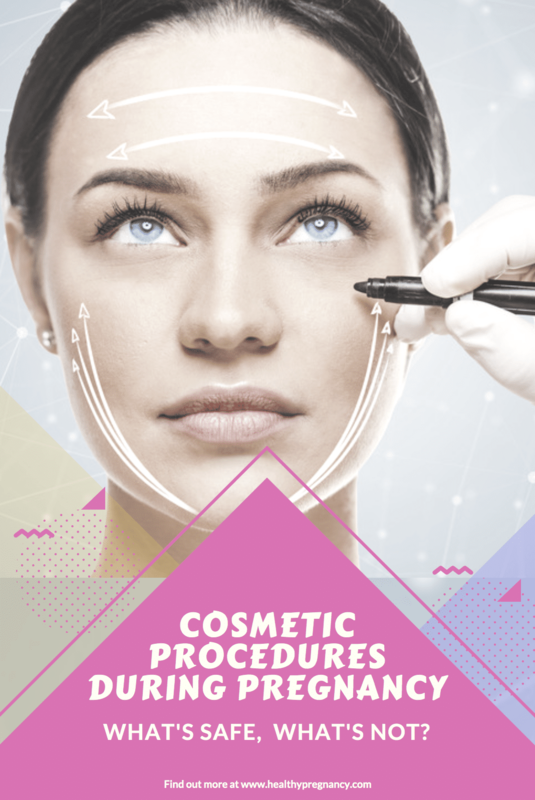 When used cosmetically, Botox is injected into a specific bodily region such as the face. The toxin then relaxes the muscle in question, which causes the wrinkles and lines to dissipate. Botox does not circulate throughout the body. Ergo, most medical professionals believe it will not bring harm to an unborn child. Chemical peels are skin coverings often placed over the face, but can also be positioned anywhere else on the body. These products are designed to rejuvenate skin by reducing wrinkles and removing damage caused by issues like overexposure to the sun. Since peels contain chemicals that can seep through the skin and enter the bloodstream, they are not recommended for would-be mothers. Wraps, also known as body wraps, are intended to help the recipient rid his or her system of chemicals and toxins. The benefits of these procedures include healthier, smoother and nicer looking skin, a strengthened lymphatic system, loss of excess weight and a boosted metabolism. Typically, wraps are performed on the arms, legs, torso or neck. Recipients have the targeted areas of their bodies wrapped tightly in elastic cloths. Once the cloth is held in as firm a position as possible, the recipient sweats, which leads to the elimination of waste products that have accumulated in their systems. Although generally considered to be safe, certain wraps contain substances that can be absorbed into the skin and potentially harm an unborn baby. Also known as microneedling, dermatologists use a contraption covered with countless small needles to open numerous small holes throughout the skin. This action is said to stimulate the skin’s production of the substance collagen, which is believed to play a role in eliminating wrinkles, scars, stretch marks and other skin blemishes that have gathered over time. Plastic surgeons recommend expecting women hold off on the administration of microneedling until after they have given birth. This is because the procedure increases the chances of developing severe allergic reactions that can be hazardous to an unborn child. In addition, there is the possibility—albeit miniscule—of developing an infection in its aftermath. Body lifts are typically performed on individuals who have lost a significant amount of weight and have large deposits of fat remaining in specific parts of their bodies including the midsection, thighs, hips, rear end, arms, back and groin. During a lift, a plastic surgeon removes excess skin and stitches together the regions where the skin was voided. Body lifts are significant surgical procedures and are typically not recommended for a woman expecting a child.